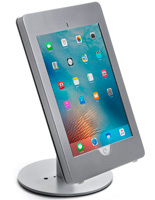 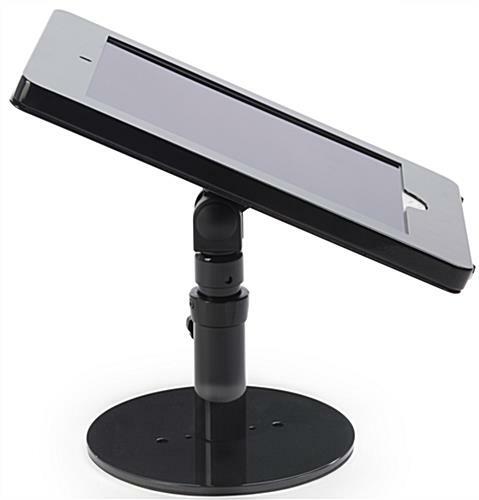 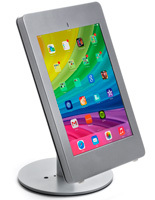 These black iPad Pro countertop stands are ideal for both retail stores and trade show booths where they can promote merchandise in their double locking enclosure. 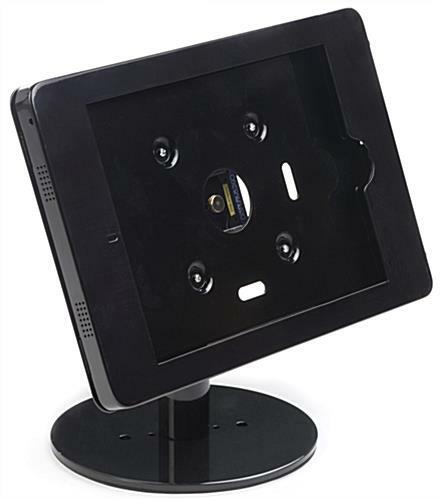 The secure mounts feature a stable weighted base for remaining upright. 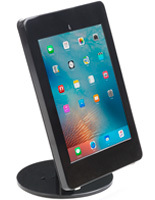 The secure iPad Pro countertop stands are made of durable aluminum and steel with a sleek black finish that matches any environment. 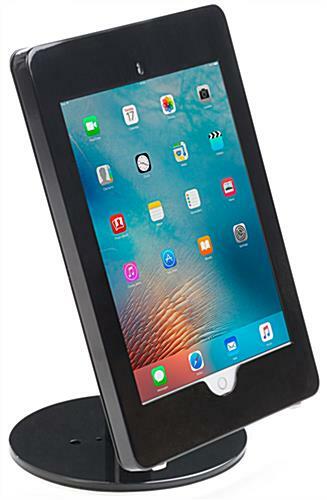 Each of the locking enclosures keeps the home button open, allowing employees and customers to navigate between different apps. 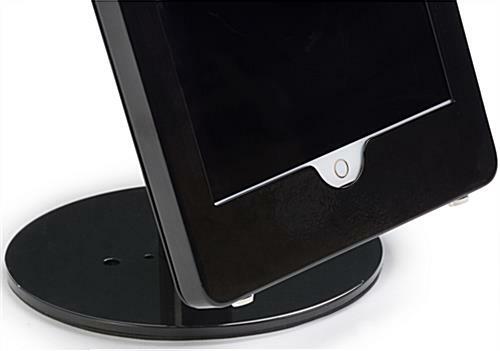 The countertop stands also have pre-drilled mounting holes for added security. 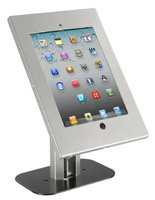 Highly adjustable, the kiosks with an open home button can tilt, rotate and change height to reach the optimal angle. 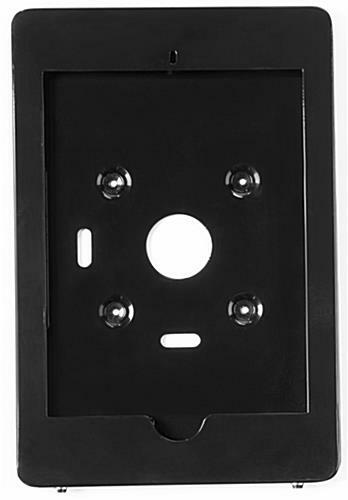 9.8" x 14.5" x 1.0"